I think I say this all the time, but risotto is my favorite food. So creamy, delicious and cheesy. 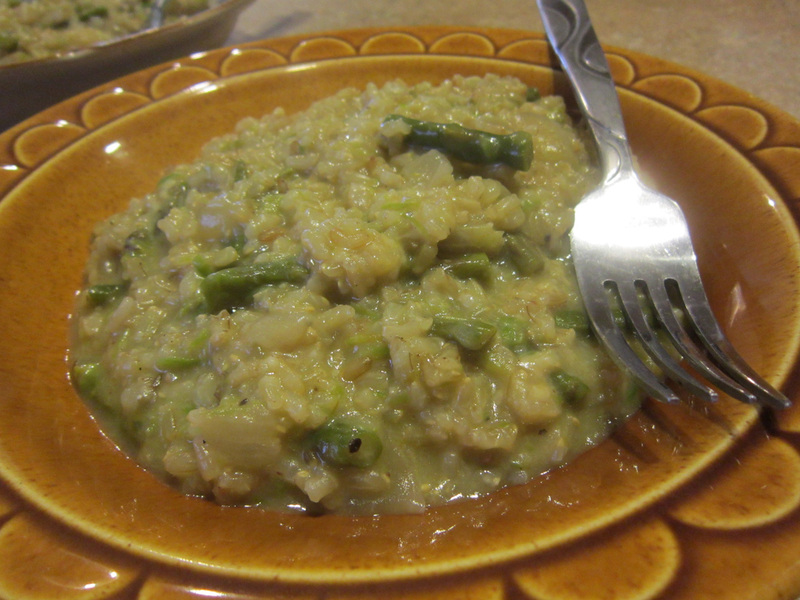 The asparagus is a nice addition to risotto. Bring a medium sized pot of water to a boil. Add half of the asparagus stalks (no tips). Cook until soft, about 5 minutes. 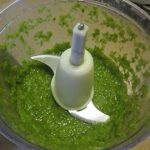 Drain and blend in a food processor with a little water until smooth. Set aside. Heat the broth in a sauce pan and keep warm over low heat. Heat the olive oil in a large skillet over medium heat. 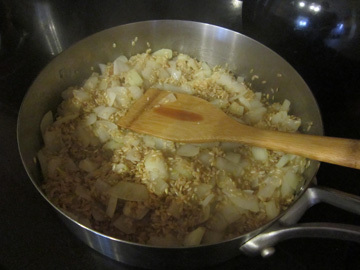 Add the onion and cook until softened, about 5 minutes. Add the rice and cook for 2-3 minutes. 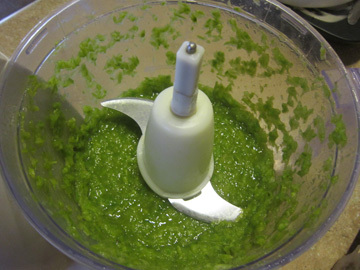 Add the broth a ladle full at a time, stirring frequently until almost all the liquid is absorbed before adding more. 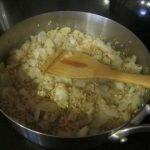 Keep adding liquid until the rice is softened, about 45 minutes. After about 30 minutes, add in the remaining asparagus stalks and tips. 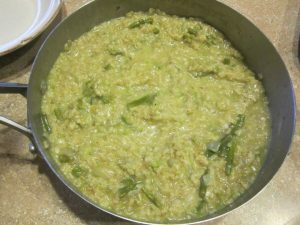 Once the rice is softened, stir in the asparagus puree. Remove from the heat, stir in the butter and cheese. Season with salt and pepper to taste.